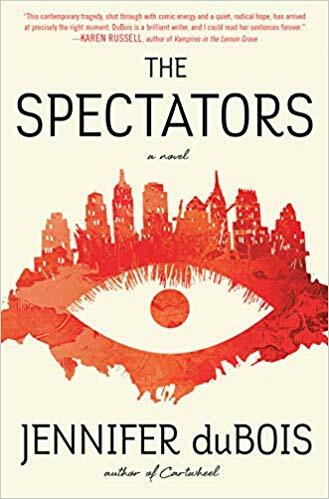 The Spectators is literary fiction but the two portions of the plot make strange bedfellows. Mattie M. is a talk show host (think Jerry Springer) in the late 1990s. When a horrific school shooting is determined to be by hard-core fans of Mattie’s show, it opens a national discussion on the pros and cons of sensational television. It also reveals Mattie’s history as a disgraced NYC politician. In separate chapters, Mattie’s former lover, Semi, tells the story of the carefree 1970s NYC gay culture and how the 1980s’ AIDS crisis effected that culture. I’m not sure who would be the perfect reader of this clearly divided book. The discussion on the talk show phenomenon appeals to me but not the gay culture portion of the book. Others will feel the other way, I’m sure. The Spectators was not for me but perhaps it will be for you. 3 stars! Thanks to Random House and NetGalley for a copy in exchange for my honest review.